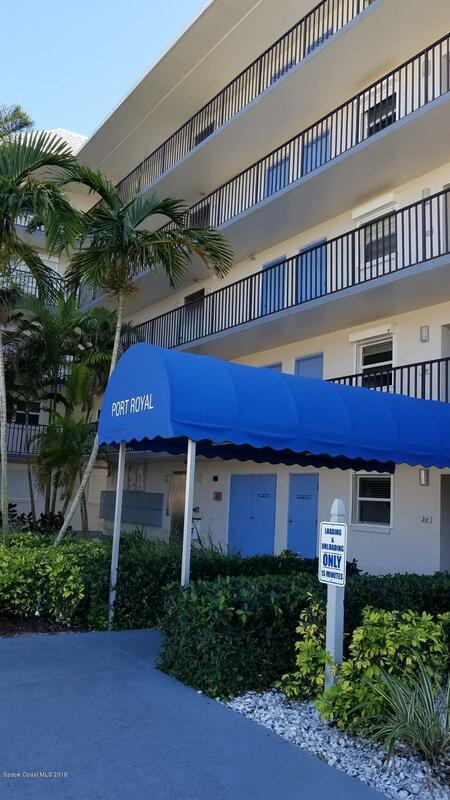 Ocean beach access, condo located on the beach-side, only steps to the beach, great views of resort next door and huge wrap around balcony in this large 3 bedroom condo. Features include open floor plan, split bedrooms, 1 private garage and a number of sliding doors to balcony, and more. 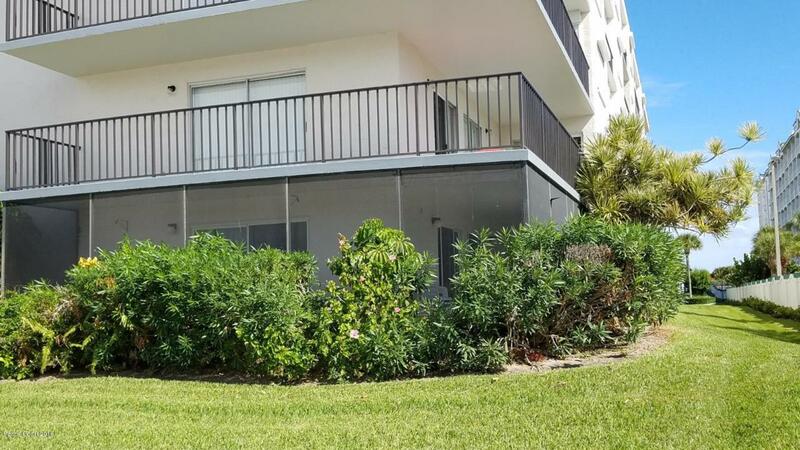 Condo has newer hurricane proof windows, hot water heater, washer and dryer, toilets, microwave, a screened front door and including blinds on sliders. Owner has reduced over 50 K and is motivated to sell. 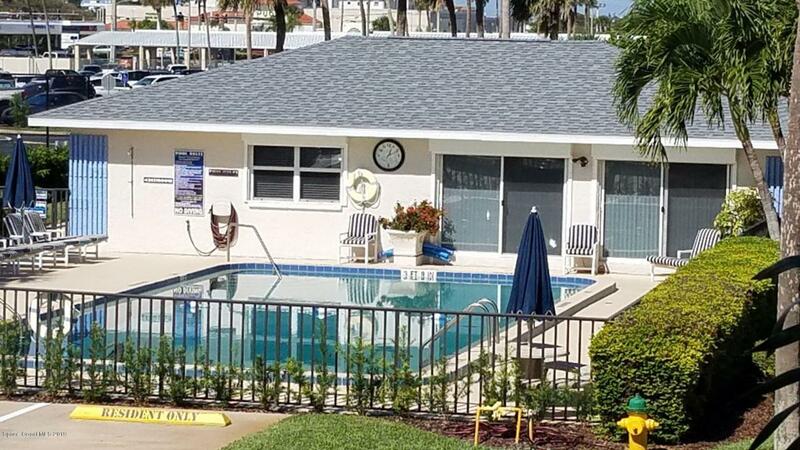 Centrally located in Cocoa Beach, close to shopping and walking distance to restaurants. 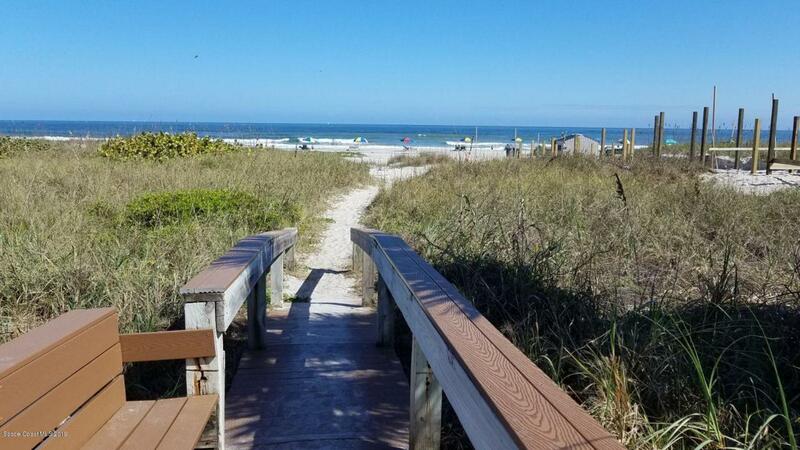 PORT ROYAL has a private walk way to the beach. So do not miss out on this great opportunity to live beach side. Listing provided courtesy of All Real Estate, Inc..